Having a credit card is an excellent idea if you value convenience and have a good credit rating. When you get shopping for a card, however, you will discover that there are hundreds of options. So you will have to compare credit cards. 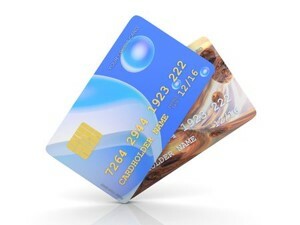 Virtually all banks offer credit cards, and each of them has a product range. And each card in that range will attract different charges and possibly offer some enticing loyalty rewards. How do you sift through this sea of options and come up with a card that gives you real bang for your buck? Hence, Hippo.co.za has an answer for you. This website, renowned for helping South Africans compare different insurance products, has started doing the same for credit cards. They promise users that they will look through all the leading credit cards in the country. So they use two main criteria to rate credit card products: monthly payments and interest on negative balances. Every credit card issuer will expect you, the holder, to pay a specific amount at the end of every month towards the card. This amount is a calculated percentage of the balance you owe on the card. So if this percentage is 5% and you have a balance of R10,000, you will need to pay R500 at the end of the month. Being able to keep up with your monthly payments is critical, and many people run into credit card debt for failure to do this. Inability to make prompt monthly payments may result in you tarnishing your credit history. Should you fail to clear off your balance at the end of the month, then the interest the credit card issuer will charge on your outstanding balance should worry you. Because, as we all know, interest on the debt is how banks make most of their profits. Hippo has partnered with a wide array of retailers and service providers to ensure that you get the best deals.